Picking the venue is pretty much the very first decision you and your fiancée will need to make. Not only is it one of the first decisions, but it is also one of the most important. Your wedding venue will set the tone for the entire day, so it is important to have a chat about what you both really want, and then it is time to do your research! 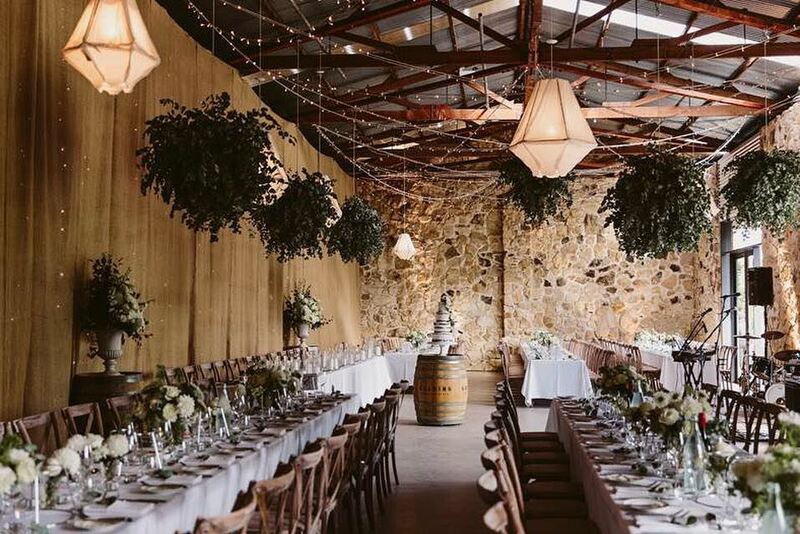 We’ve compiled 5 of the most visually striking wedding venues in Adelaide, and each venue also comes with a team of wedding experts that will help make your big day a breeze. 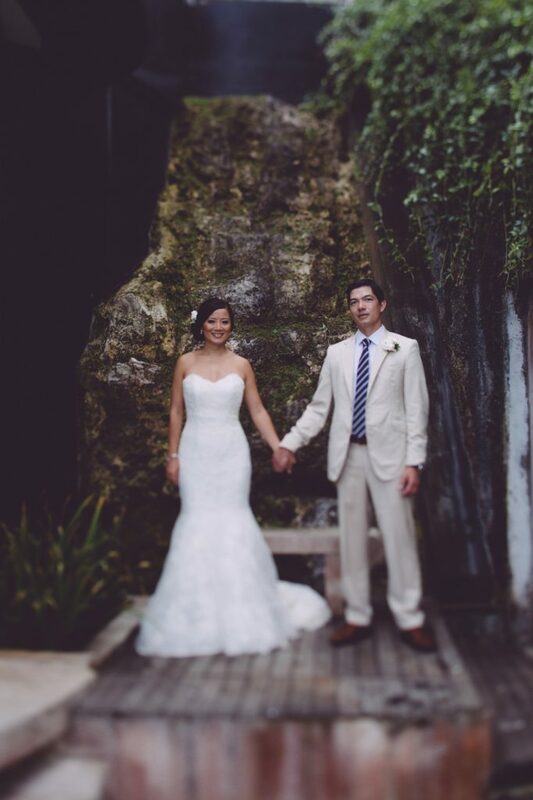 If your dream day centers around a connection to nature and you want a magical green backdrop to both your ceremony, and your reception, we recommend you get in touch with Botanic Gardens Weddings. The Adelaide Botanic Gardens is an inner-city oasis which not only boasts 9 different sites to host the ceremony, but their restaurant has won Restaurant of the Year every year for the past four years, earning them a place in the South Australian Restaurant & Catering Awards Hall of Fame. Nestled on the western edge of the Barossa Valley, and perched atop the North Para River, Kingsford Homestead boasts both an impressive history and impressive scenery. Only a 45-minute drive north from Adelaide International Airport, it is as convenient as a secluded location can get. The homestead is located on a private 225-acre estate, so you and your guests will have complete privacy. Kingsford Homestead isn’t just a venue to have your wedding at, they offer a full-scale wedding planning package and will assist each bride from the day they send their invitations, through to the day they post out their thank you cards. Just be sure to book a viewing if you are considering Kingsford as a venue, this is a very private property and drop ins cannot be accommodated. Arthur Hardy, the renowned Hardy family patriarch, built Mount Loft House as his residence in 1852. His planting of 3 sequoia trees (Californian Redwoods) during the building of his house was the beginning of the botanic gardens on the site which are now managed by the South Australian Botanic Gardens. Now the site hosts up to 80 guests overnight in their hotel and cabins and they have four restaurants and bars for the classiest of receptions. This is a stunning historical wedding destination that can be tailored to suit any aesthetic. Casual, classy and elegant – Mount Loft House will not disappoint venue hunters. What more can you ask from a venue hosting your big day? With three 19th century stone buildings to choose from you can have a quiet, quaint affair or a 380-person soiree. Situated on the edge of Adelaide’s North Eastern suburbs it is only a 30-minute drive to the estate from the CBD. Get in touch with the wedding team to share your ideas and they will give you and your partner a private personalised tour so you can really visualise what the big day will be like. And for the true wine connoisseur, they offer a climate-controlled room to store all your wedding day (and night) vino. For the inner city metropolitan bride and groom, it is hard to go past an Intercontinental Hotel in any city! Adelaide’s InterContinental sits along the River Torrens and offers some incredible views from its luxury suites. Whether you are looking for a simple or an extravagant wedding, InterContinental Adelaide has a dedicated team to help you create the wedding of your dreams. With the ability to host up to 330 people for a sit-down dinner in their function space, and with enough accommodation for everyone to stay on site, InterContinental Adelaide is the perfect way to spend your day surrounded by style and elegance. Less than an hour’s drive from the Adelaide CBD, in the quaint Adelaide Hills town of Lobethal is where you’ll find Golding Wines. With their large range of delicious wines, you’ll find something to suit the tastes of even your fussiest guests, and the vineyard makes an excellent backdrop for your ceremony! There’s a sandstone character barn, grassed area and stunning courtyard to suit all types of weddings. From their location high on the hill, you’ll get some stunning views – no wonder it’s such a sought-after spot to spend your big day! What do you think? Do you have a favourite? Maybe you’ve had the venue in mind longer than the groom! Remember when choosing a venue, it’s not just the style you want from your wedding day, but the number of guests, the experience you want them to have, and your budget all need to be considered – but also the amount of support a venue can provide it’s clients can be the difference in making the day enjoyable for you as a couple.